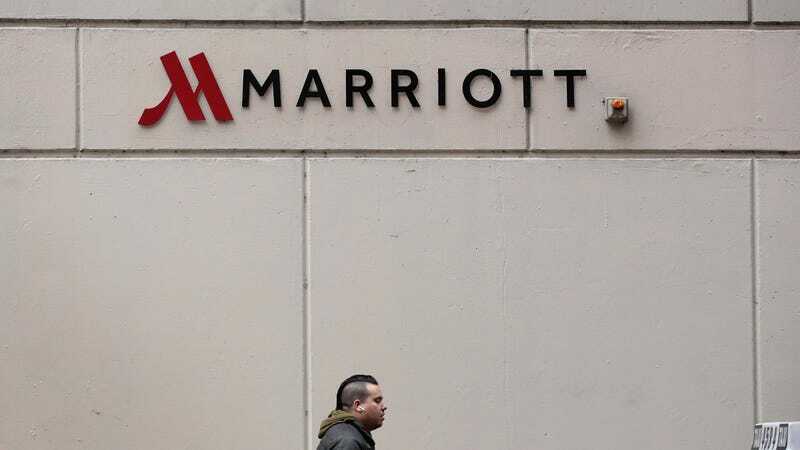 Leticia Vallejo, a housekeeper who has worked at a Marriott branch in Irvine, California for 18 years, filed a lawsuit against the hotel on Monday. According to reporting by Bloomberg, Vallejo claimed that in 2017, a drunk man who was a guest at the hotel groped her while she was cleaning the bathroom in the lobby and offered her $50. In the complaint, Vallejo details how she repeatedly asked for a sign to block guests and keep them out while she was cleaning the bathroom. Eventually her supervisors provided her with an “8 ½ x 11 inch sheet of paper” that did little to deter guests. Bloomberg spoke to three other women at the Irvine Marriott who had similar stories of harassment and management inaction. As Lilliana Rodriguez, another Marriott employee of 18 years, told Bloomberg, “They never listen to us. They always tell us what is important are the guests.” Irvine Marriott employees voted to form a union earlier this month. Low-income workers who clean our hotels and houses and who work in retail labor in conditions that make them extremely vulnerable to sexual harassment. They are often alone with guests and, as Vallejo’s case shows, often receive little help or recourse from managers. Hotel executives at chains like Marriott are well aware of the problem because workers like Vallejo have refused to stay quiet. Last December, Marriott workers conducted the largest hotel strike in US history, securing wage increases and some sexual harassment protections. But as stories persist, it’s clear that there is a still long way yet to go.